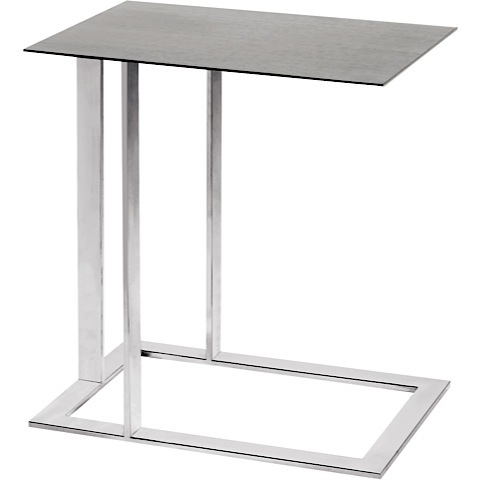 Minimalist design with a rugged, industrial flair. 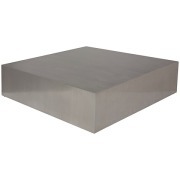 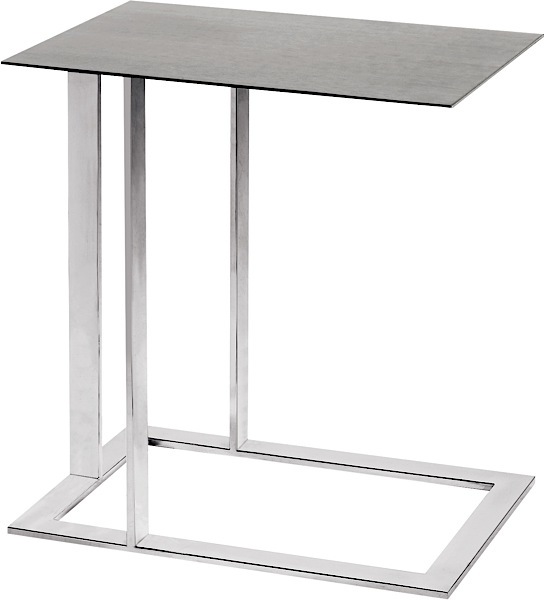 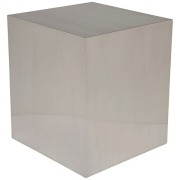 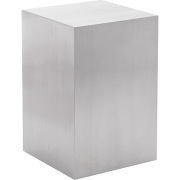 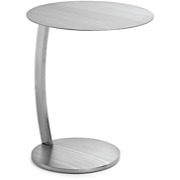 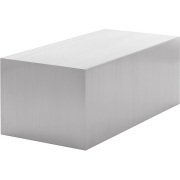 This stainless steel side table has a hi-polished frame with a brushed stainless steel top. 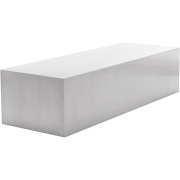 Very unique, very well built, very beautiful.